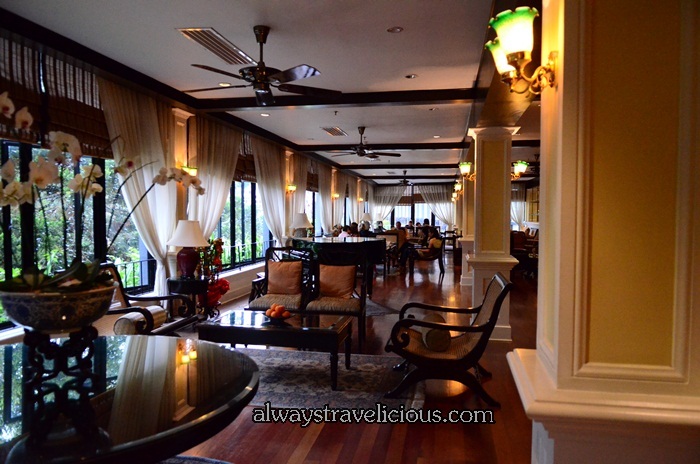 Hotel Review: Cameron Highlands Resort by YTL - Always Travelicious ! 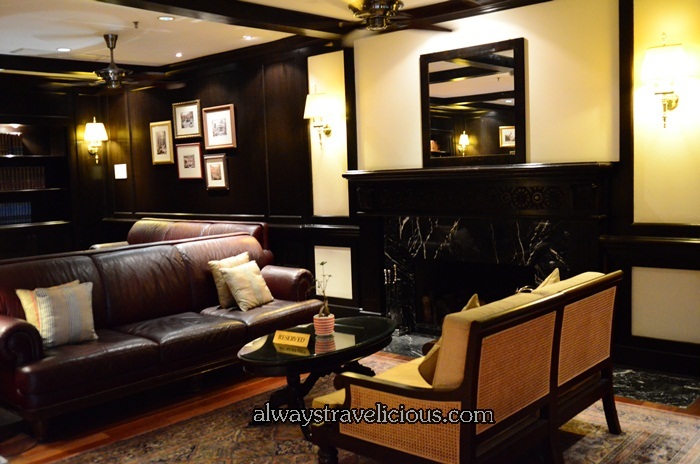 We stayed for a night at Cameron Highlands Resort by YTL, a wonderful Tudor style hotel reminiscing the colonial times. Upon check in, chrysanthemum tea and hot towels were served while waiting for the staff to get our room key ready. The waiting area is sumptuous and oozing with English elegance. Oooh, and a piece of antique here! A little further down from the lobby is the bar, perfect place for sipping whiskey in the cold air in Cameron Highlands at night. Our room is extremely capacious with the king sized bed and comfy sofa set. The bed is to die for ! So cottony with fluffy down-feathered pillows embracing you warmly. And just being curious at how the bed is so comfortable, I flipped open the sheets and saw two extra pieces of paddings on top of the mattress, one of which is down-feather padding and the other one I am not quite sure. No wonder it felt so luxurious. Even the lamp is pretty. The superb view of the golf course from our balcony. Marble being one of the lavish elements used in Tudor interior is a no-surprise when it is used to tile the bathroom walls and floors. A relaxing lounge on the first floor. There’s computer access if you need to use it. Use it only when you really need to because you should put all the work behind if you are at Cameron Highlands! The room comes with complimentary 4G wifi as well. Gary @ Gonbei Japanese Restaurant on the first floor. The koi pond that is aptly located on the ground floor and you can see it from Gonbei Restaurant above, giving you a complete Japanese dining experience. This is my favorite part of the hotel – the reading lounge that has 4 unique spaces. It has dark wood furnishing, fabric sofas, leather sofas and carpets, you could almost mistaken yourself that you might have traveled back in time to the colonial period. Gary and I planned to go to the gym, thanks to excessive eating Chinese New year, but we only managed to visit it and uuh, no time to use it. It is a nice gym though, no doors, open air concept that allows cool air to flow in. How environmental friendly! Pingback: Breakfast @ Cameron Highlands Resort by YTL | Always Travelicious !